These versatile super-roller spray pumps are ideal for agricultural and groundskeeping tasks such as spraying liquid fertilizers, plant and soil pesticides, and herbicides. 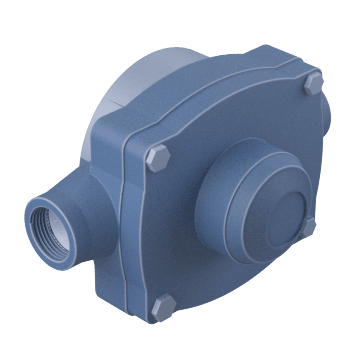 These pumps have rollers that rotate inside the pump housing to force material through, making them highly efficient and able to produce a wide range of pressure and flow rates. The rollers, known as super rollers, provide excellent wear- and chemical-resistance, and won't swell in water. 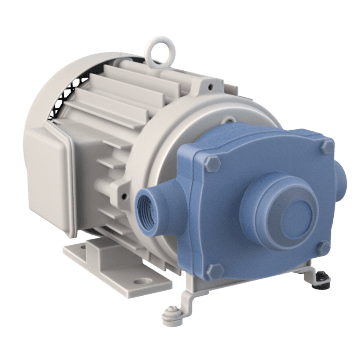 The pumps can adapt to PTO (Power Take-Off) and gasoline engine drives, and have a simple design that makes them less complex to repair and less costly than other pump types. With both a super-roller pump head and motor, add these complete pumps to your system for efficient spraying. Create your own pump by adding a motor to one of these super-roller heads, or replace a worn or damaged head on your compatible spray pump. 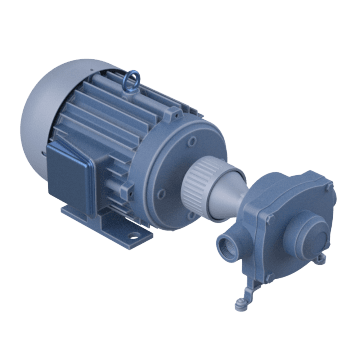 When pairing a roller pump head with a motor, it is critical to match the pump head's outer diameter and maximum RPM to that of the motor.